Derrick Wilson Halton was born in Northamptonshire in 1919. His father was John Wilson Halton, born Ulverston 1878, and Ethel M Ellis. His parents were married in Northampton early in 1912. After leaving full-time education Derrick worked as a reporter on the Northamptonshire Evening Telegraph at Rushden and Kettering. 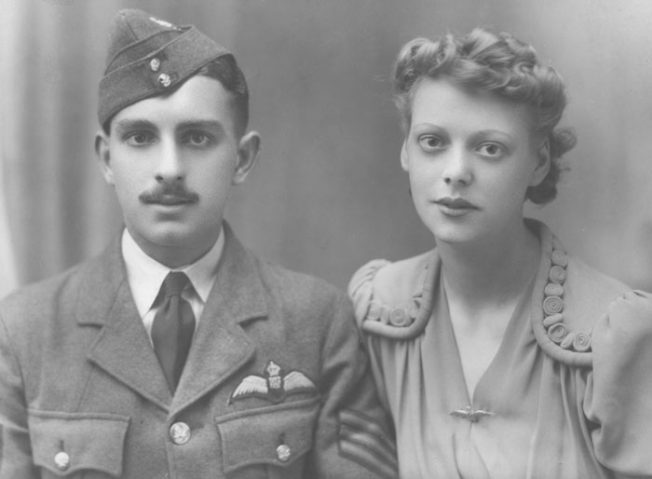 In May 1939 he joined the RAF Volunteer Reserve (RAFVR) as an Airman under training Pilot. Derrick was called up on 1 September and in the same month married Margaret (Peggy) Mather from Rushden. 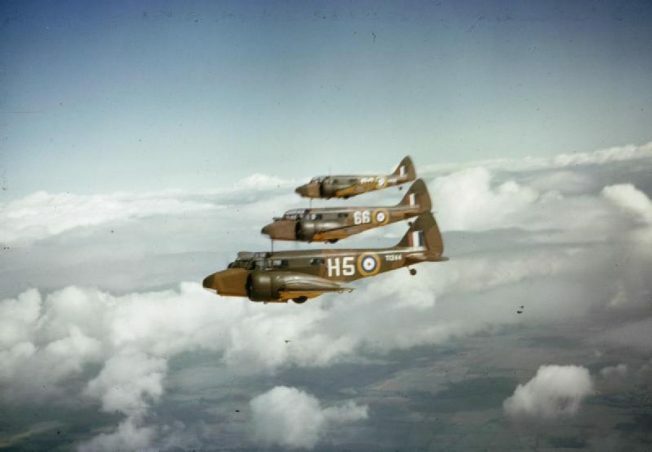 From 11 December to 10 June 1940 Sergeant Pilot Derrick Halton was under training at 5 Flying Training School (FTS) at Sealand in Flintshire, Wales. At that time 5FTS were equipped with Airspeed Oxfords. 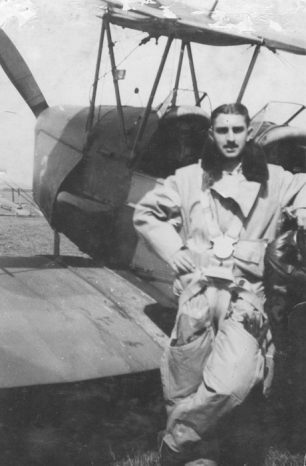 Derrick was posted to 615 Squadron at Kenley on 18 June 1940. Three days later he was sent to Uxbridge in Middlesex for a short course on radio/telegraphy procedure. At some point soon after his Kenley posting, Derrick and Peggy moved into Fulford Road, Caterham-on-the-Hill, about half a mile from the airfield. 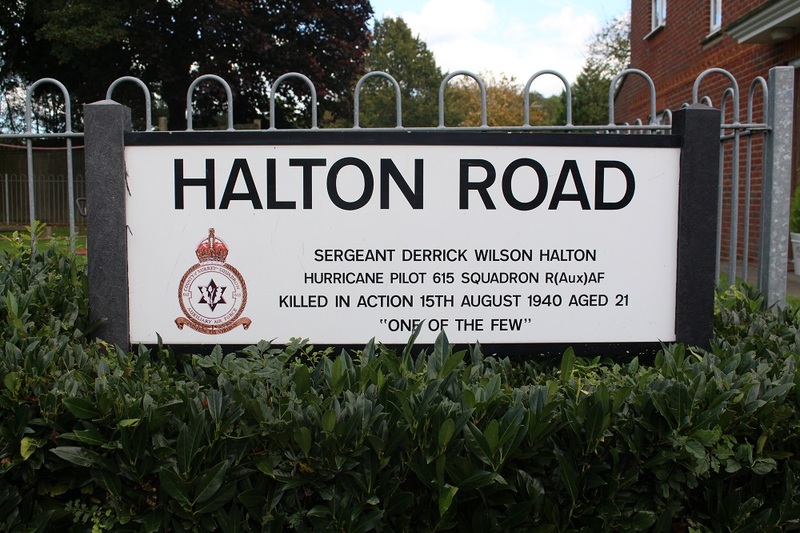 Sergeant Pilot Halton was now on the front line of Britain’s war with Germany. Sadly he was not to remain so for long. On 15 August 1940 twelve Hurricanes of 65 Squadron left Kenley at 1125 hours to patrol Dungeness, including Derrick flying Hurricane P2801 in ‘B’ flight. Once airborne they were ordered to intercept two incoming raids of Ju 87s, escorted by Bf 109s. Near Folkestone ‘B’ flight was attacked by six of the escorting aircraft. During the engagement a Hurricane was seen to dive into the sea after being attacked by two Bf109s and it is probable that this was Derrick’s aircraft. His body was not recovered and he is commemorated on Panel 14 of the Runnymede Memorial. For a number of years there was some debate as to where Derrick’s aircraft came down, with some records saying “Seal” a village near Sevenoaks in Kent. Given the contemporary reports regarding the action in which Derrick lost his life, this seems improbable and it is now felt that “Seal” should have read “Sea” or possibly “Deal”. Sergeant Pilot Derrick Wilson Halton remains missing in action. Are any of these pilot profiles available in a booklet or pamplet as they are very interesting. Hi Colin – These were researched by a website volunteer and all the information has been researched on the internet with publicly available information and photographs. I am sure there are many books that have biographies of ‘The Few’ that will have information on each of the pilots if you wanted to see what other information was out there?